The president and the flag. 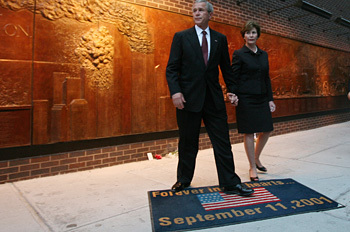 George W. Bush, advocating a constitutional amendment against flag desecration, June 27, 2006: "By showing respect for our flag, we show reverence for the ideals that guide our nation. And we show appreciation for the men and women who have served in defense of those ideals.